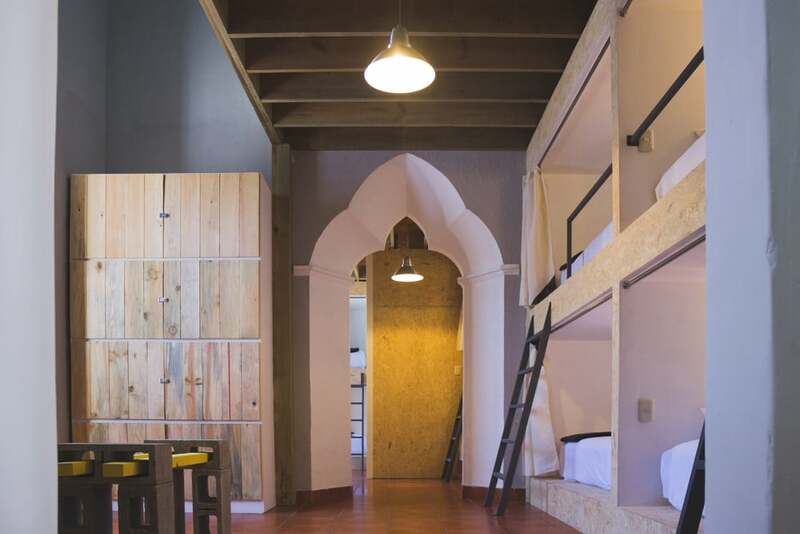 Adra Hostel is a boutique hostel where young and adult travellers live in a beautiful place surrounded by art and culture. No matter who we are or where we come from, in Adra we all see ourselves as equals, without differences and with a common goal: to build a better world, to protect the environment and to reach out to the needy. Adra is a place for travellers seeking an atmosphere of harmony, community and brotherhood. A space in which you can relax comfortably and safely. 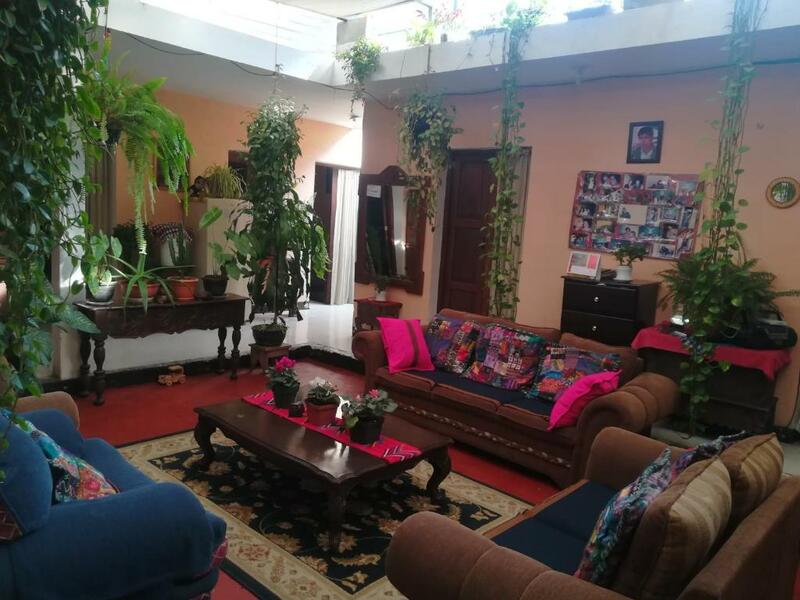 Barbara’s Boutique Hostel is a small old colonial style house located in the center of Antigua Guatemala, a space full of history and small details that will make your stay in Antigua an unforgettable experience. 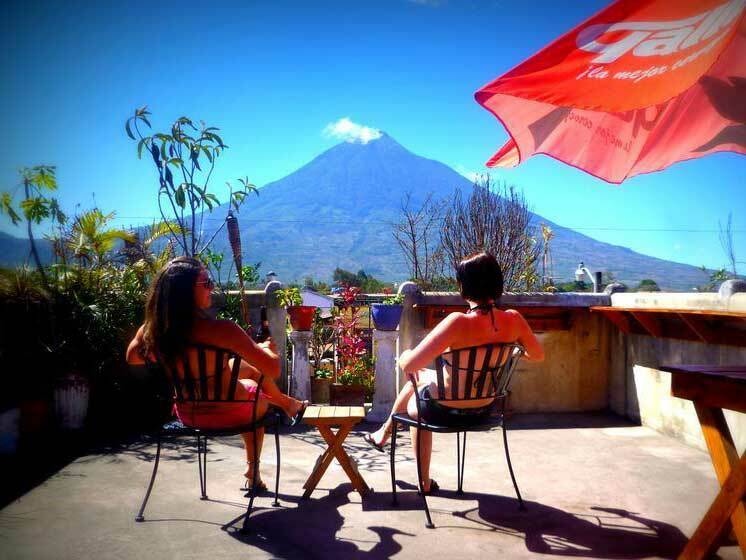 A hostel to rest and enjoy the incredible view of the volcanoes Agua, Fuego and Acatenango from our terrace. Book exchange, tours and shuttles, kitchen, terrace, and everything you need to make this hostel your home away from home. 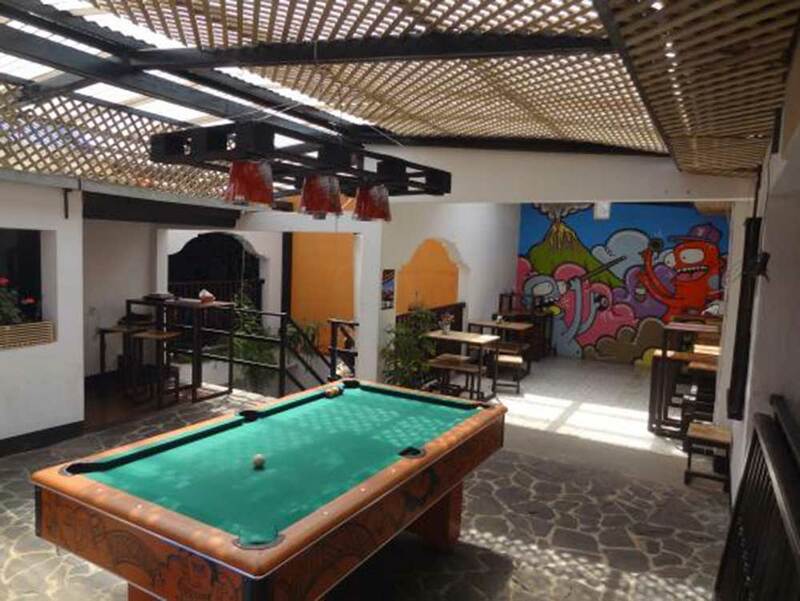 A spacious property, offering fast WI-Fi, hot showers, and a vibrant bar and a restaurant. They even got a warm jacuzzi to warm you up after your volcano hikes! 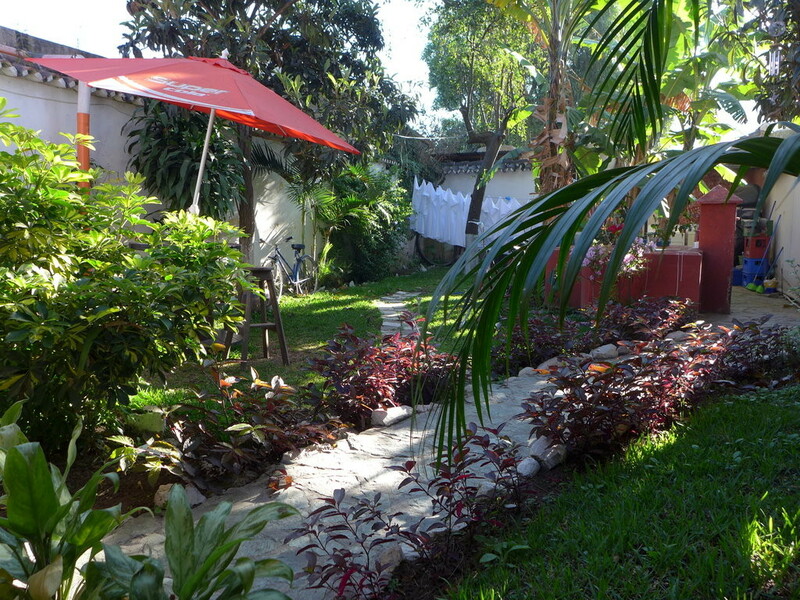 The hostel has beautiful Antiguan courtyards that make it easy to mingle with fellow travelers. The tour agency run from the hostel will make sure you do every volcano hike, mountain bike trek, city tour or spa treatment that you want. Clean, spacious, comfortable, and well decorated rooms. Every dorm is equipped with air-conditioning and backpack size lockers. They have mixed dorms, a girls-only dorm and private rooms available. 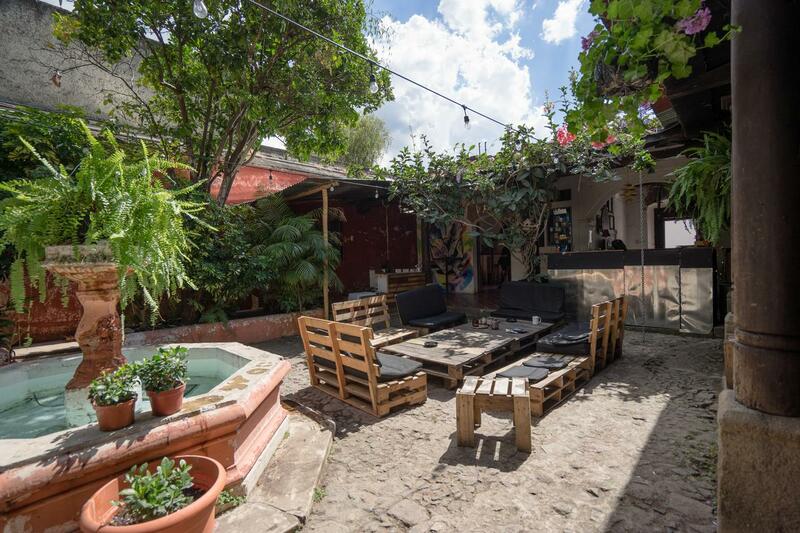 The hostel The Doozy Koala is located in a sprawling traditional Antiguan house with a semi-private courtyard and beer garden. The open and flowing layout encourages community interactions while still allowing opportunities for privacy and relaxation. 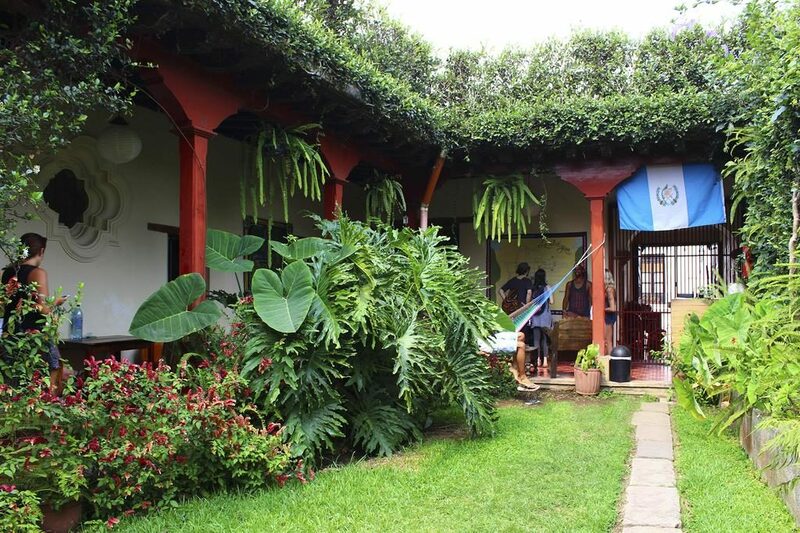 The fusion of Guatemalan and Australian cultures has created a unique space that is highly creative and welcoming of people from all over the world. 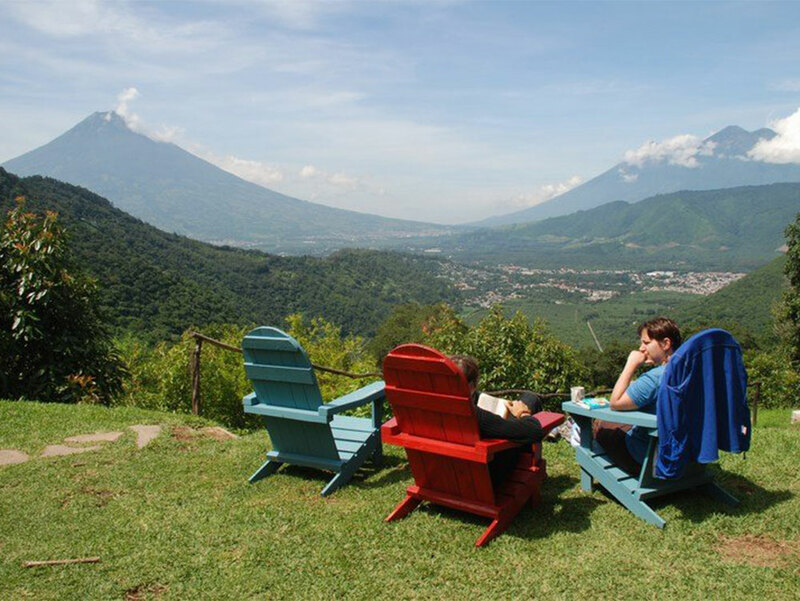 Earth Lodge is a hotel and avocado farm located twenty minutes from- and 6000 feet into the mountains above Antigua. The place has stunning views of the volcanoes and cities below. Earth Lodge is for those that want to enjoy the many attractions of Antigua but rather sleep outside of town in a quiet setting. At the Earth Lodge you can sleep in dorms or in luxurious ecological cabins. They also have a restaurant, bar, lounge area, and a sauna with beautiful views. On Sunday many people from Antigua go there for the day for their BBQ’s and the live music. All rooms have new, comfortable beds with fresh, clean and cozy bedding. Bathrooms all have piping hot showers. Included is a cooked to order breakfast of your choice. High speed, free wifi, an on-site laundry service, TV and DVD player for movie nights, a lounge area to relax in and a pool table to get competitive on. 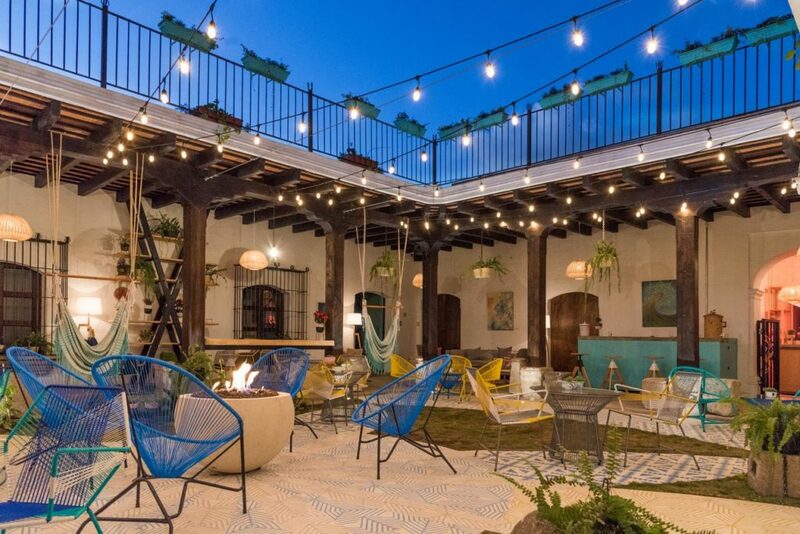 Outside you will find a beautiful garden court yard where you can relax and sway in the hammock, chill with a beer, listen to the birds, or get to know your fellow travelers. Perched on top of a mountain just outside of Antigua, the village offers stunning views over the Panchoy Valley and nearby volcanoes. 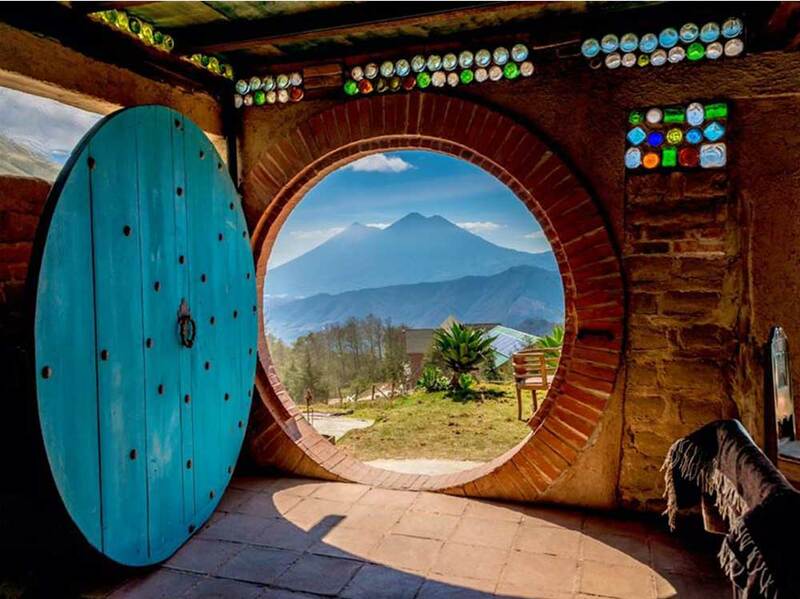 Hobbitenango is being built by the local community using timeless and innovative ecological techniques. 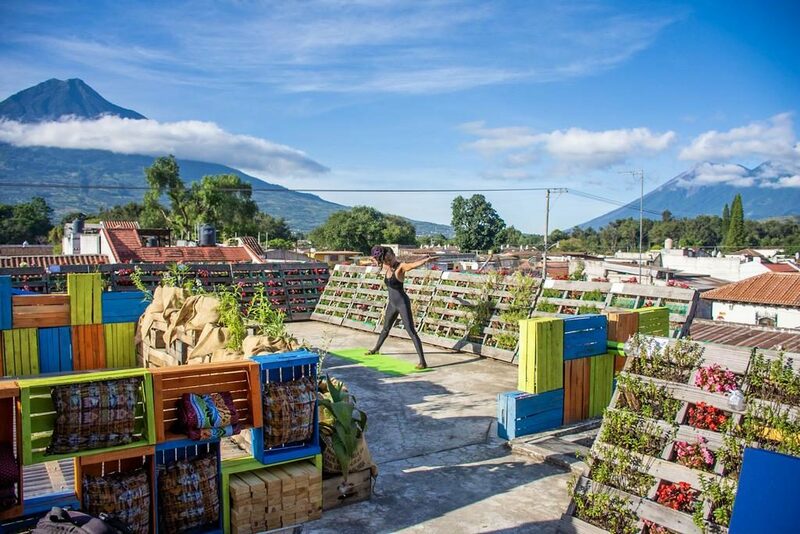 Each of their buildings is constructed using plastic bottles and local materials, while seeking to maintain a balance with their natural surroundings. It’s completely run on solar and wind energy and is not connected to any local grid. Apart from the restaurant serving seasonal and regional dishes and world-class cocktails, there are gorgeous hiking trails, activities such as archery and machete throwing, as well as live music during the weekends. A cozy place with private rooms and dorms in a colonial house. El Hostal also offers a good restaurant and a bar. Located in front of Café No Se. They work with local people to give a real Guatemalan experience from a local perspective. 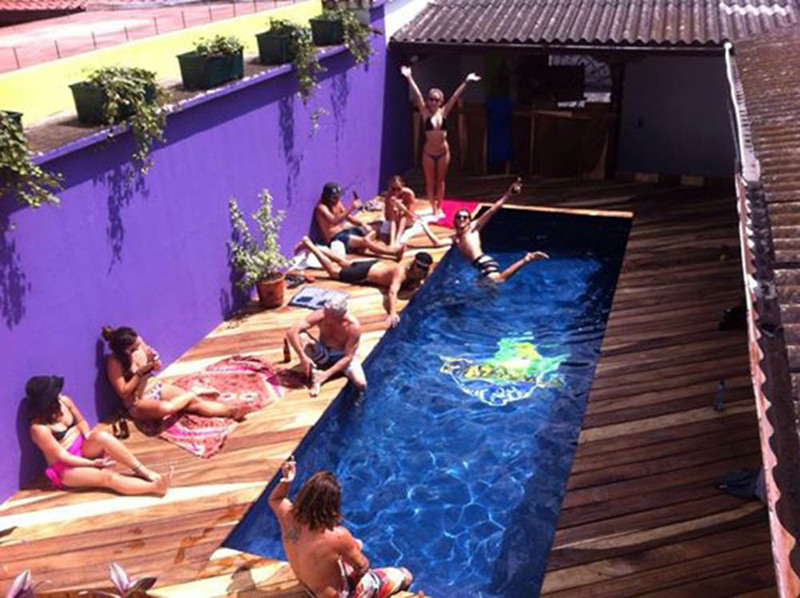 Lemon Tree Hostel likes to keep it social and fun by making you feel at home. We have Free Wi-Fi and it is a perfect place to meet other travellers in any of our common areas including our lounge or games room (pool table and football included!) We are one of the newest hostels in town, where modern comforts meets colonial architecture and where good times meet the history of this world heritage site city. Welcome to your hostel away from home. Designed and run by hotel professionals, bringing you a luxury experience with a hostel price. 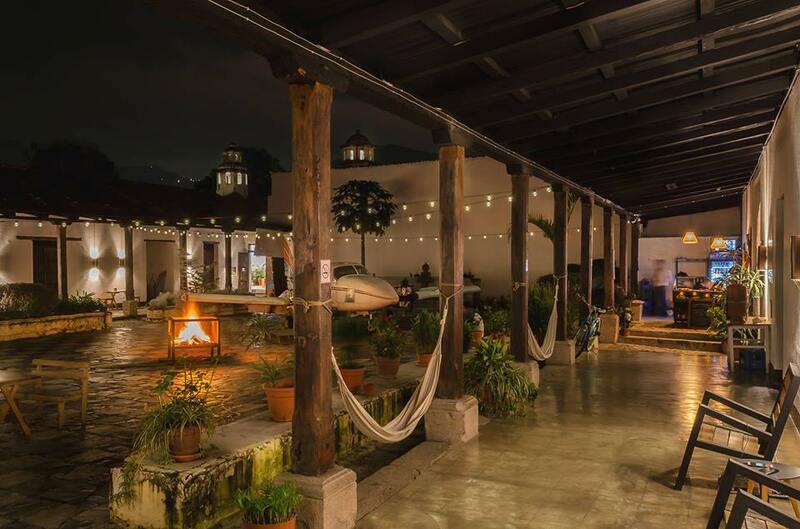 They include a traditional Guatemalan breakfast, fluffy duvet covers on each bed, and multiple hangout areas designed to be inviting and encourage interesting conversation while ensuring a good time. Cozy hotel a few blocks from the central park. They offer nicely decorated private rooms that are all facing a wide green courtyard. San Carlos also has a restaurant on site, offers yoga classes and has a bar. They offer space, privacy and fresh air in all their dorms and private rooms. Filtered water is available all day, and free coffee in the mornings. 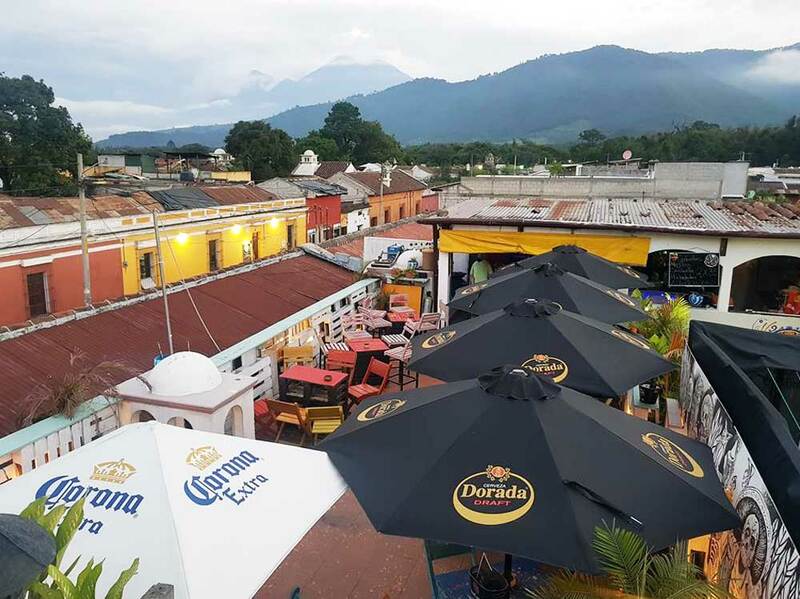 You can enjoy the best view of all 3 volcanos and all over Antigua from the rooftop garden. There are several common areas for you to relax, hang out, play and connect with fellow travelers. You do good and support the local community simply by sleeping there! And if that is not enough for you, you can get involved, roll up your sleeves and connect directly with our community. Centrally located cozy hostel. Has nice dorms and a beach themed roof terrace with a good restaurant and bar. Started by two Guatemalans with a big dream, they run their place with a lot of TLC. Each bed features at least one charging outlet, a private light, and a locker. They offer perks as a TV with Netflix, free towel use and a comfy terrace with a day bed to work on your tan or enjoy a starry night. Their common areas – including the kitchen – are open to guests 24/7 and they have no rules on outside food or drinks. 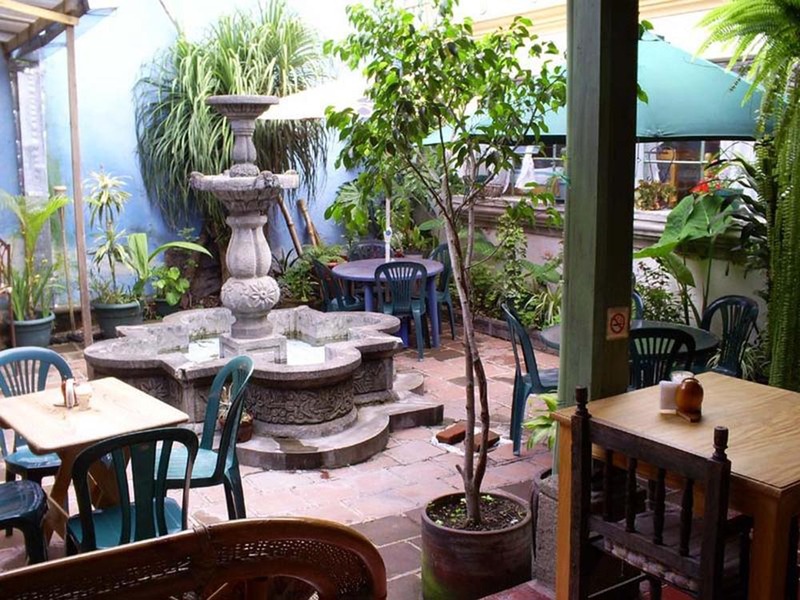 Located in the heart of Antigua, The Terrace is a cheap and clean hostel with in-house travel desk, great views of the city and surrounding volcanoes and a rooftop bar & grill. Friends for a long time, an Aussie and two Guatemalans decided it was time to start a new and fresh place for our friends around the world, and that’s how Three Monkeys was born. They offer both deluxe private rooms, as well as clean and spacious budget friendly dorm rooms. 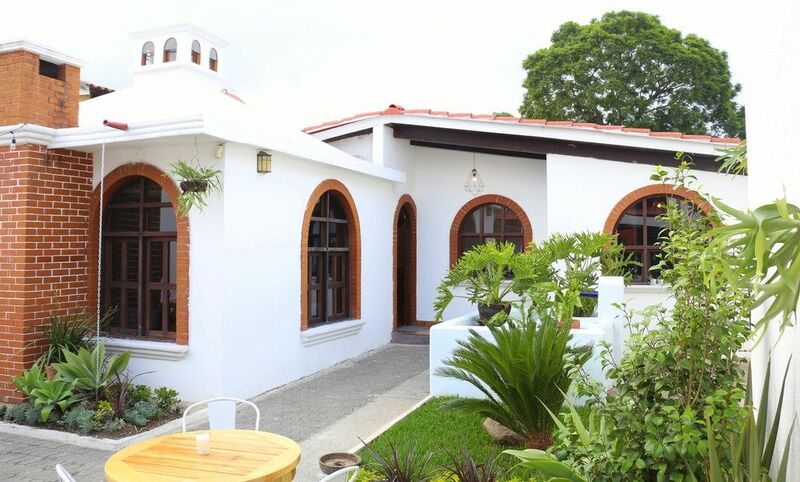 Enjoy the beautiful garden, relaxed patio area, and take advantage of the convenient location just a stone’s throw from Antigua’s main square and all the great things Antigua has to offer. Nice hostel located close to the central park. Tropicana offers good dorm beds. Also here you will find a pool, a bar, a restaurant, a jacuzzi and a roof terrace to lounge. 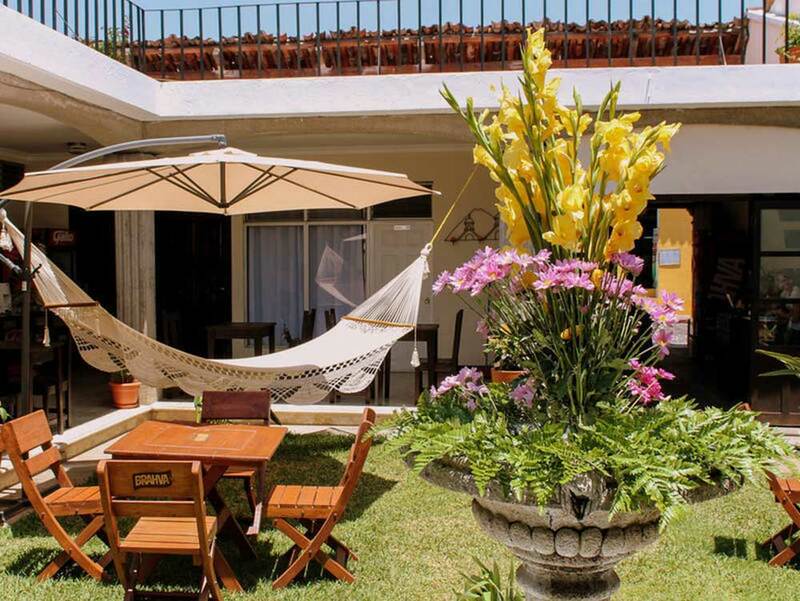 Zoola Hostel is located in the heart of Antigua Guatemala, close to all the highlights of this beautiful colonial city. 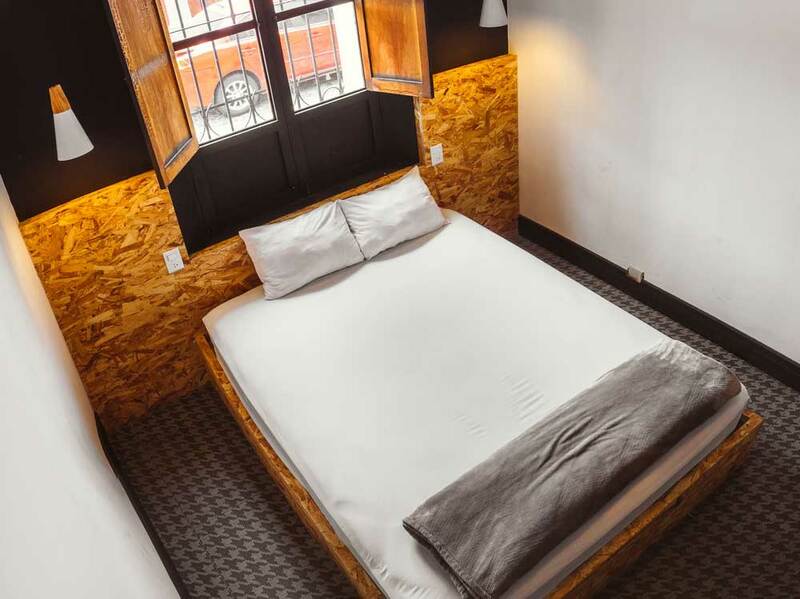 In the hostel you will find comfortable, clean and spacious dorms and private rooms and you will be able to enjoy a great restaurant on the first floor and an awesome bar and hot tub at the terrace. Zoola also provides information about all the attractions of the city and it’s surroundings.